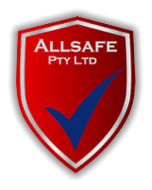 Who we are: Allsafe Pty Ltd was originally formed in March 2001, the partners having a combined history in the industry of over 70 years acknowledged a need for a client focused security company that would provide cost effective solutions, the company has grown and transformed over the years but have managed to ensure our clients continue to use our services, not by locking them into contracts but by providing a quality friendly effective service when required. Our company has offices in both Brisbane and Sydney and services commercial and domestic clients nationally. Our Aim: To supply clients with quality Products and Services at realistic prices. To provide the information required for you the client to make an informed choice on what product or service you truly need. Products: We are fully conversant with most major brands of electronic security equipment which relate to Alarm systems, CCTV & Access control. Our Aim: To supply clients with quality Products and Services at realistic prices. To provide the information required for you the client to make an informed choice on what product or service you truly need. Our company has offices in both Brisbane and Sydney and services commercial and domestic clients nationally.